One of the keystones of effective content marketing is blogging. Without a doubt, if you follow some basic tenets, it can improve your personal branding, website traffic, SEO and your confidence too. I recommend it to all of my social media students, and I recommend it to you. But how do you start blogging? That’s what this blog post is all about. Why? Because your website is the only part of the internet you own. If your blog posts are all on Blogger or Linkedin, you are sending your web traffic elsewhere. What is worse, is that you’re sending it to a website owned by someone else. Do you really want to do that? Start with what you know best. Create some ‘framing’ posts, setting out the broad boundaries of your subject area. These can sometimes feel a little basic to you, but your readers need them as an introduction to where your expertise lies. For example, if you are an Acupuncturist, framing posts for you might include: “What is Acupuncture” and “The Health Benefits of Acupuncture”. After that you may want to address more specific areas, such as the differences between acupuncture and reflexology or the efficacy of acupuncture for treating specific conditions. Should You Schedule or be Spontaneous? 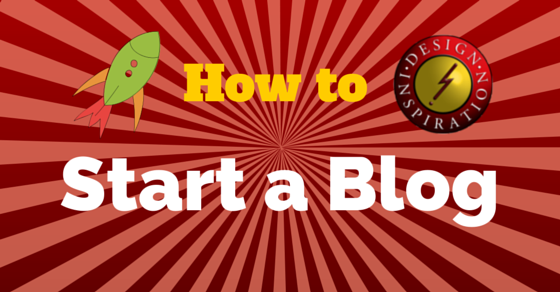 Talk to your web designer to see how easy it would be to add a self-hosted blog to your site. Write a plan, integrated with your marketing plan. Create a blogging calendar and start doing the research for your first posts. That is how you start a blog.